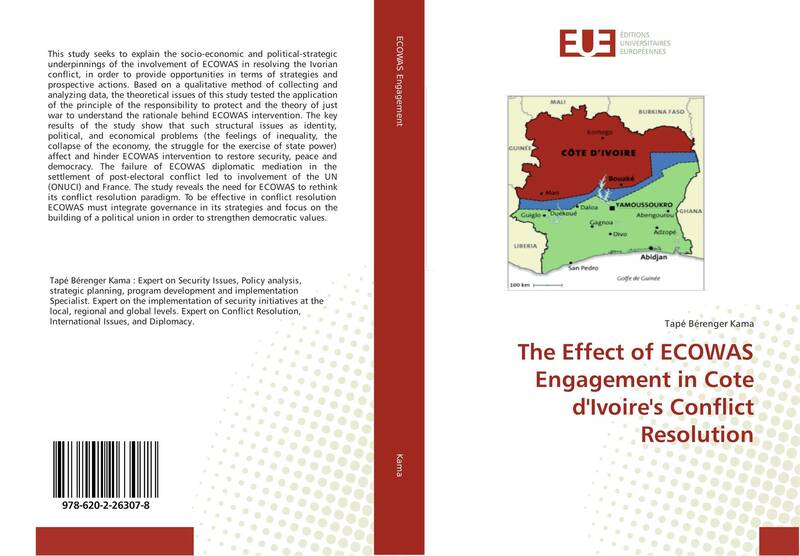 This study seeks to explain the socio-economic and political-strategic underpinnings of the involvement of ECOWAS in resolving the Ivorian conflict, in order to provide opportunities in terms of strategies and prospective actions. Based on a qualitative method of collecting and analyzing data, the theoretical issues of this study tested the application of the principle of the responsibility to protect and the theory of just war to understand the rationale behind ECOWAS intervention. The key results of the study show that such structural issues as identity, political, and economical problems (the feelings of inequality, the collapse of the economy, the struggle for the exercise of state power) affect and hinder ECOWAS intervention to restore security, peace and democracy. The failure of ECOWAS diplomatic mediation in the settlement of post-electoral conflict led to involvement of the UN (ONUCI) and France. 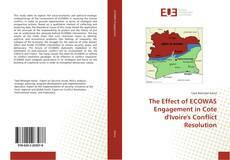 The study reveals the need for ECOWAS to rethink its conflict resolution paradigm. To be effective in conflict resolution ECOWAS must integrate governance in its strategies and focus on the building of a political union in order to strengthen democratic values.